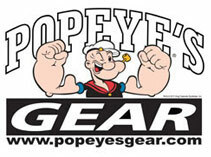 These bags are "STRONG TO THE FINISH". They have reinforced stitching to prevent tearing, upgraded heavy duty material, metal hardware, as well as a DETACHABLE shoulder strap! 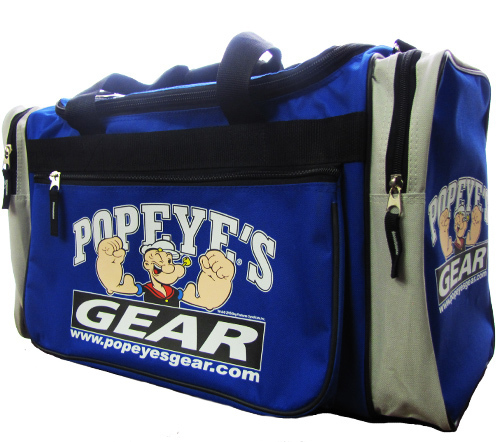 The Popeye's GEAR Deluxe Gym Bag is extremely durable and the perfect size for going to the gym, featuring 1 large front zipper pocket and 2 large end pockets. 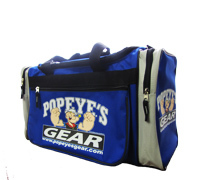 This bag is a must have for all fitness enthusiests!